My first novel I Must Confess was published in 1998, after I’d been working for years as an entertainment journalist. It tells the story of a fictional singer/actor/model called Marc Lejeune, his rise to fame in the 60s and his desperate, delusional efforts to hang on to that fame whatever the cost. Marc was based on hundreds of egotistical celebs that I’d interviewed for newspapers and magazines during the 80s and 90s – and although much has changed in the intervening years, I still think the novel nails certain aspects of fame culture pretty accurately. You can buy I Must Confess on Amazon UK or Amazon US. 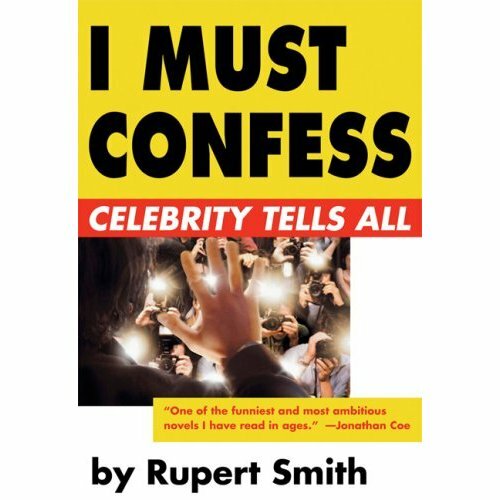 ‘Rupert Smith offers us nothing less than a comic history of British popular culture, from 1960s pop fashions through to the soaps and game shows with which we anaesthetize ourselves today. His eye and ear are acute, his parodies lethally accurate.’ Jonathan Coe‘Hugely ambitious and deliciously witty.’ Paul Burston, Time Out. ‘Hilarious showbiz satire … A riotous romp.’ Christina Patterson, Observer. ‘Lethally accurate, spitefully funny and occasionally genuinely chilling.’ Charles Spencer, Sunday Telegraph. Thank you! It was totally inspired by/ripped off from Little Me. As for being a ‘gay version’ I think Little Me is about as gay as it gets!! !